All of the songs that I write for young children are specifically written to teach little ones skills such as following directions, listening for a turn or moving as instructed. I also am enjoying writing songs that teach knowledge like knowing colors, shapes, numbers and ABCs. The Number Song is one of those songs. Children are required to listen for the number about which I sing and then add the apple that I have given them with the correct number on it to the apple tree. 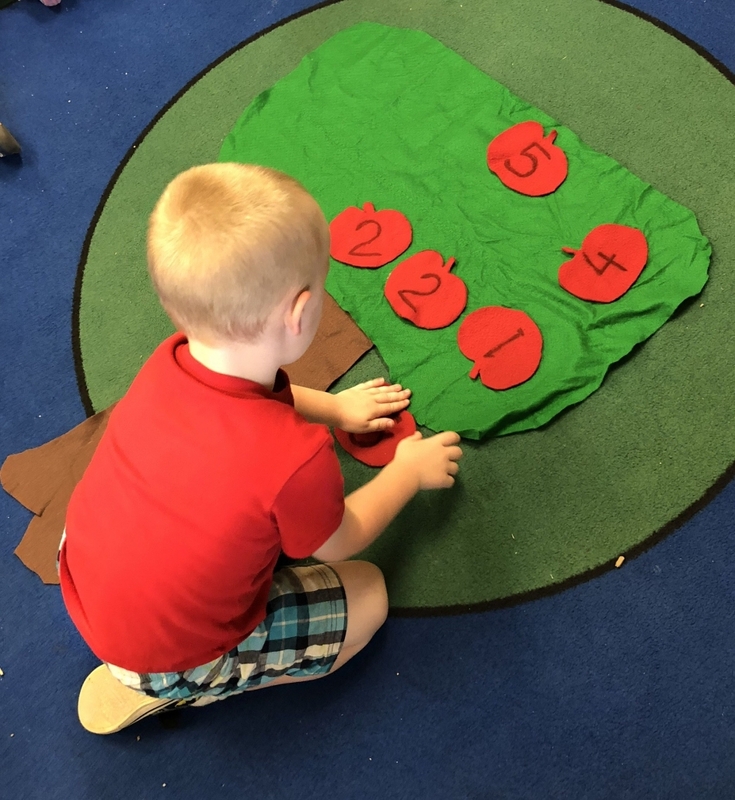 This is the activity that I have chosen to create as I think that little ones love felt and they also love the fact that they have a real object that they understand, an apple tree. Any preschool teacher that uses this song could create any type of number activity where little ones are required to recognize the number they have and show their ability to recognize it by adding it to whatever the object is that the teacher chooses. This activity totally makes learning numbers fun. I have children asking me when we are going to have the toy activity meaning the activity with the object lessons with which they interact.